Are you wondering how to improve your eCommerce email marketing strategy to boost your subscribers and revenue? 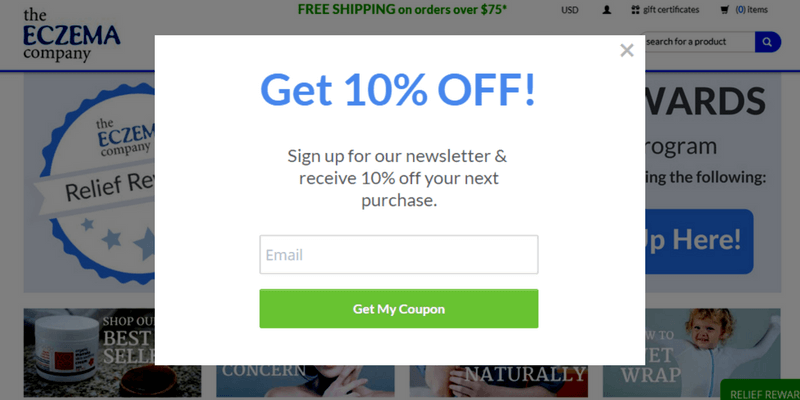 Jennifer Roberge of EczemaCompany.com shared with us how split-testing campaigns allowed her to make data-driven decisions to boost her eCommerce email marketing instead of guessing, and led to increasing conversions 158%. Jennifer Roberge created It’s An Itchy Little World to share her family’s experience and stories battling eczema, allergies, and asthma using an integrative approach. Jennifer also wanted to share the products that helped her family through those trying times. Her online store, The Eczema Company, features natural skin care, protective clothing and alternative laundry products that provide relief for children and adults suffering from eczema. She said she started using OptinMonster simply hoping to grow her email list. Her eCommerce email marketing strategy is a huge driver of sales, so any increase in the overall list size adds to the bottom line. Jennifer learned how to offer an ebook and started sharing that offer on the blog in exchange for an email address. The optin below appears after 30 seconds, if the reader had also scrolled at least 50% of the page. Before using OptinMonster, Jennifer made this offer in a lightbox optin using optin software called Privy. That Privy optin only converted around 1.5% of readers. 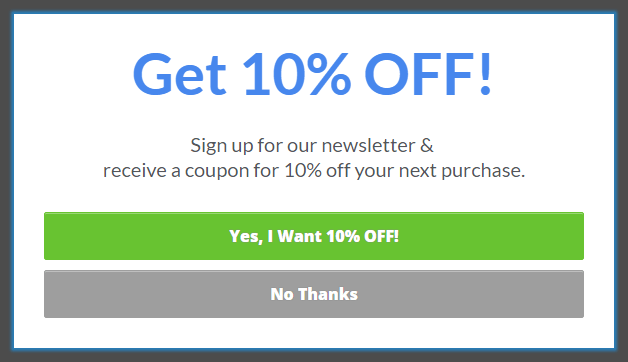 The exact same offer presented using OptinMonster converted about 3.89% of readers, a 159% difference. It was a great start, and encouraged Jennifer to keep adding new optins to her sites to grow her email list. 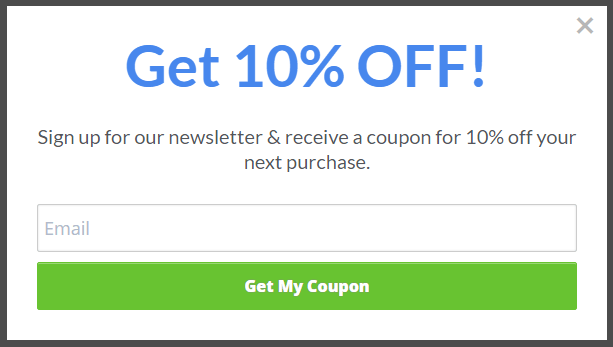 Part of her eCommerce email marketing strategy is to offer a 10% off coupon exclusively for subscribers. Using OptinMonster, she created different optins for mobile and desktop readers. The simple mobile optin below appeared for mobile viewers after they had been viewing a page for 30 seconds. It converted 6.35% of mobile visitors. Jennifer was pleased with the progress, but wanted to improve even more. She decided to start split testing campaigns using OptinMonster’s powerful A/B testing to see if she could create an optin which would outperform the existing one. OptinMonster’s A/B Testing lets you test campaigns against one another so you know what’s working for your customers. With the click of a button, you can create new optins with different content, headlines, layouts, styles, and campaign triggers to see what converts best. The two-step optin below appears after just 15 seconds. Two-step optins give the reader two choices, one of which launches the optin. The other can simply close the optin, or can direct to another page. This two-step variation converted at almost twice the rate as the control – adding 13.76% of mobile viewers to the email list. It’s simple psychology that makes a two-step optin work so well. When a person starts a task, like clicking on a Yes button, they’re more likely to complete that task than to abandon it altogether. Jennifer also tried split testing campaigns for desktop readers to grow her eCommerce email list. The lightbox optin below appeared only when a visitor attempted to exit the site. 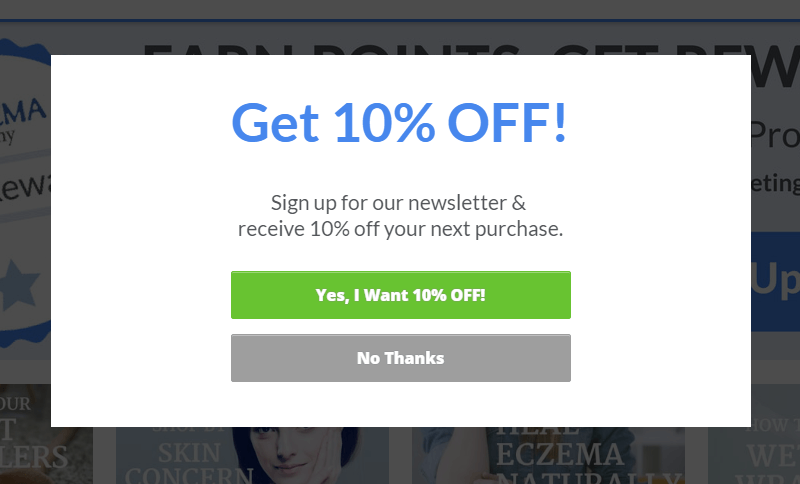 Exit-intent optins are generally great for converting abandoning visitors and this one did not disappoint. It converted 7.89% of abandoning readers. Jennifer tested the same offer using a two-step optin appearing after 30 seconds, instead of on exit. After her experience with two-step optins on mobile devices, she expected the variation to outperform the control, but was surprised by just how well it did. The variation converted a whopping 20.37% of subscribers. That’s a 158% increase against the exit-intent optin! The good news is that there’s no need to choose between campaigns that appear 30 seconds after the reader visits a page, and one that appears only when they attempt to exit. We’d suggest Jennifer keep the 30-second lightbox, but also add an exit-intent optin with the same two-step offer on exit. The two optins together will bring even higher conversions than she is already seeing. In addition, now that Jennifer knows the offer itself is a good one, she can use MonsterLinks to integrate the offer throughout the content of her site, giving her readers yet another opportunity to opt in. 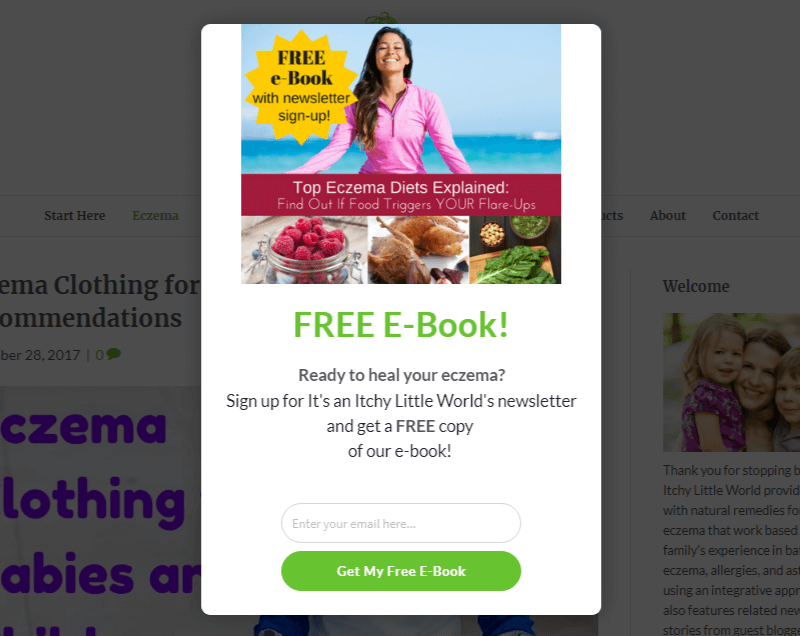 EczemaCompany.com optimized their eCommerce email marketing strategy and increased revenue by split-testing to see what worked for their audience. Simply by switching to OptinMonster from Privy, EczemaCompany.com conversions increased 159%. Two-step optins on desktop converted 158% more subscribers than an optin form alone. Mobile specific two-step optins converted 13.76% of mobile visitors. What works for one audience might not work as well for yours. The only real way to know if something will work for you is by split testing. Using OptinMonster we’ve been able to easily A/B test various scenarios and find the best converting lead generation forms and pop-ups to gain subscribers and customers. It’s thrilling watching the numbers roll in as campaigns are vetted against one another and shocking when certain variations win against others I’d thought would have been the clear winner. OptinMonster is a powerful marketing must have.